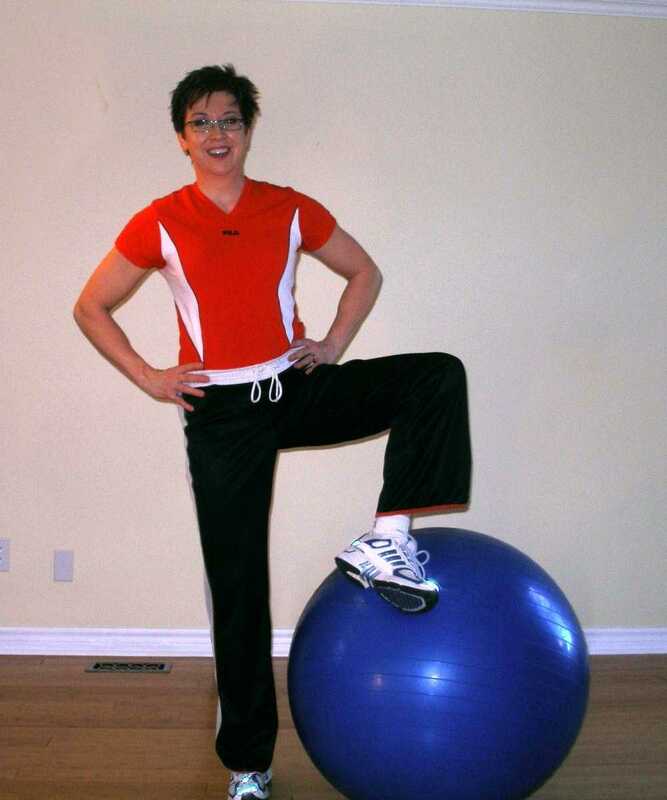 Stand next to the exercise ball with your hands on your hips. Put one foot on the ball, keeping a level pelvis. Keep your knees slightly bent and your spine in neutral. Stabilize your trunk by engaging your transversus abdominus. Roll the ball with your foot so as to draw the letters of the alphabet with the ball. Do not allow your trunk to twist or bend forward. Add resistance bands to your free ankle. Stand on a soft surface such as a folded up towel. Perform the exercise with arms raised overhead. This is a good exercise to improve balance and proprioception as well as strength in hip abductors on the weight bearing leg. Try A to E on each leg. Try A to J on each leg. Try A to Z on each leg.